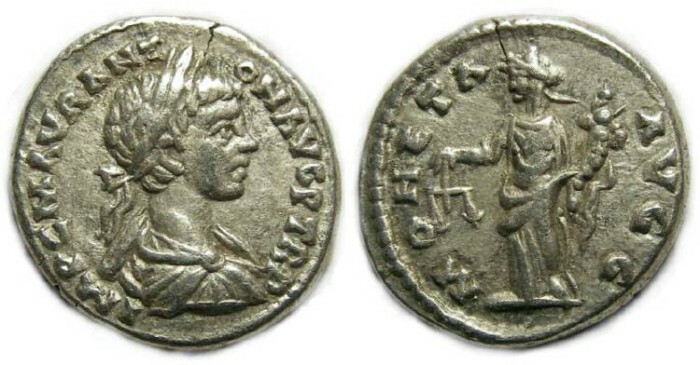 Caracalla, AD 193-217, Silver denarius. Very heavy examples at 4.36 grams. Denomination : Silver denarius. Mint : Laodicea. Size : 17.3 x 18.6 mm. Weight : 4.36 grams (very heavy for this period). Obverse : Head of Caracalla right, with IMP C M AVR ANTON AVG P TR P around.